Significantly improve the ability of your 4x4 to carry additional weight. When traveling off road over long distances load bearing accessories such as a bull bar, winch and a long range fuel tank are essential pieces of equipment for you to return home safely. All of these types of accessories add weight to the vehicle. The original coils were never designed to carry this type of weight and at some stage may sag due to the additional load. A set of RAW 4×4 coil springs will significantly improve the ability of your 4×4 to carry this additional weight whilst enhancing the vehicles performance in terms of stability, load carrying and towing capabilities. By matching your coil springs with a set of Raw 4×4 shock absorbers, you gain the advantage of having a fully integrated suspension system. Equally as important is ensuring your coils are also matched to the level of accessories that are currently fitted to your vehicle. 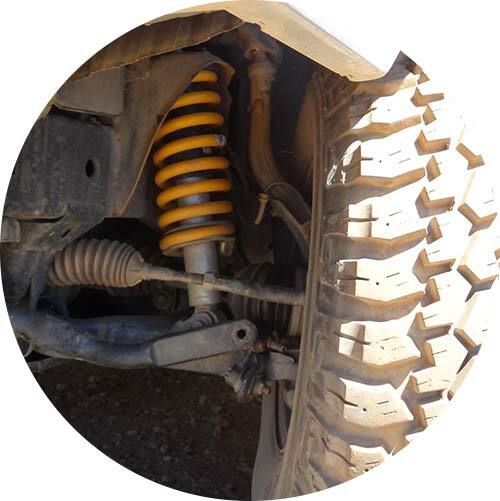 With most new 4×4’s fitted being equipped with an independent strut front end, it is essential that you do not over or under spec your springs resulting in the front end sitting too high or low. Apart from not looking right it will inevitably lead to damage to other vehicle components such as the struts or CV joints. Spring rates are calculated by the force required to compress the spring divided by the distance the spring is compressed. Different spring designs will give different spring rate characteristics because of this. LINEAR RATE COIL SPRINGS: In linear rate springs the coils are equally spaced and the wire is of a constant diameter throughout. These coils exert a constant rate of force per distance traveled. This means that the load applied to the spring will be proportional to the amount of distance it travels based on the spring rate of your linear spring. VARIABLE RATE COIL SPRINGS: Are 2 different linear rates in the one coil. The coils in a variable rate spring are wound so that they are not equally spaced this is how the variable rate is achieved. This allows for 2 different linear spring rates in the one coil, these different rates depend on how much the spring is compressed. As the spring rate is compressed the heavier linear spring rate is engaged. 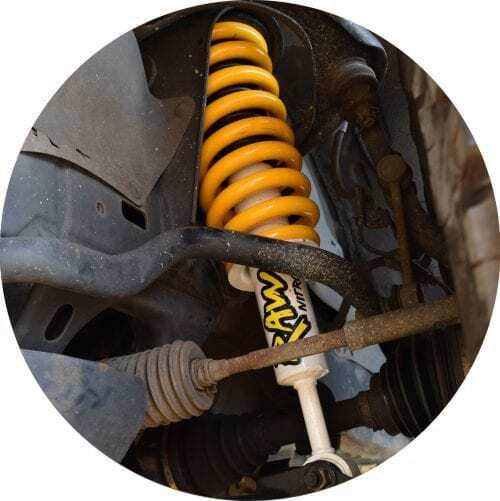 The benefit of this type of spring is that when a heavier load is being carried the ride height of the vehicle will not drop as much as it would with linear rate springs. 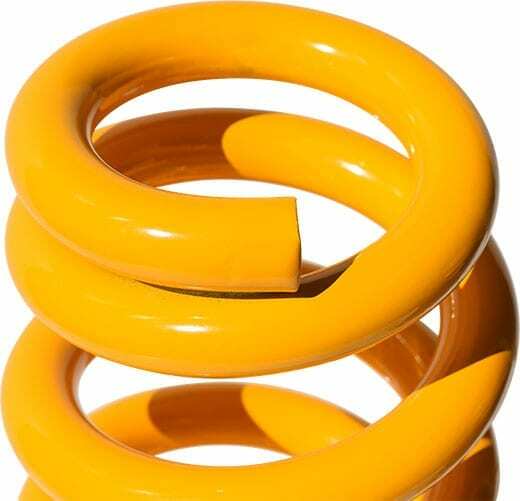 PROGRESSIVE RATE COIL SPRINGS: The progressive spring rate is achieved by a combination of differences in wire diameter and coil spacing. The benefit of this type of spring is that the spring rate changes exponentially as the spring is compressed, this allows for a smoother transition in spring rates giving a more comfortable ride even when carrying heavier loads. NitroMax mounted with coil spring suspension in action.